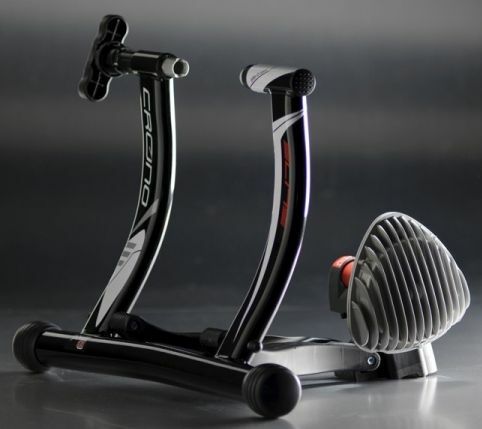 These are the cycling trainers currently supported by the PowerCurve Sensor and the power curves for each trainer. New trainers are added on a regular basis. 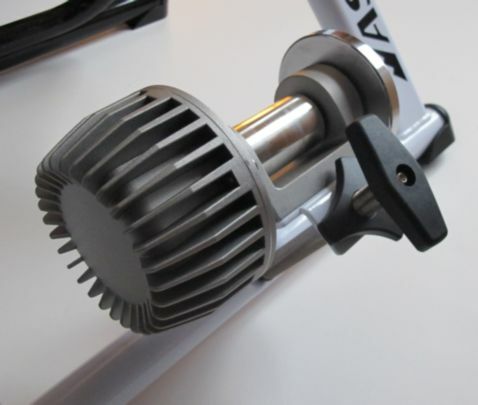 If you have a different trainer and access to a power meter (like a PowerTap) we would like to hear from you! 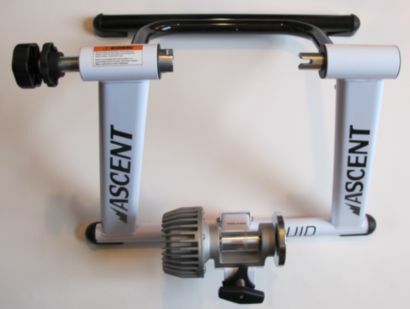 Ascent Fluid Very good basic fluid trainer. The power curve is very realistic giving a nice road like feel. 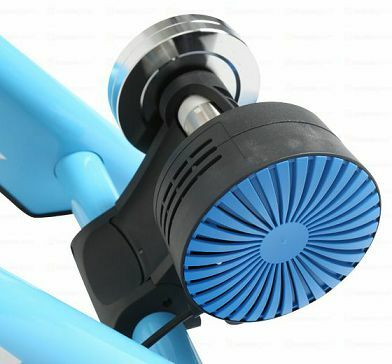 The only drawback is that it could have a larger free wheel to give it more inertia. But who coasts on an indoor trainer? Built sturdy without being too bulky. 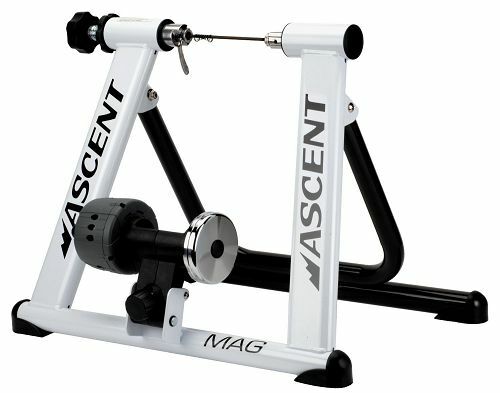 Ascent Magnetic 3/3 This is a good value magnetic trainer. Sturdy, and has three levels of resistance. The power curve is a bit easy and level 3 is the choice for use with the PowerCurve Sensor. 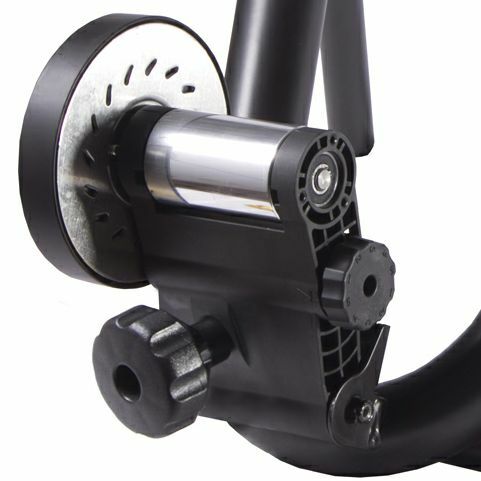 For heavy or strong riders with threshold watts at 300 or above, a trainer with a more challenging power curve is recommended. 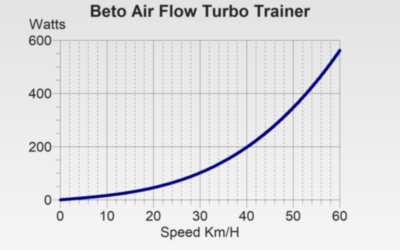 Beto Air Flow Turbo Trainer Inexpensive wind trainer, that is noisy at high speed. It will be fine for occasional workouts or if you train with headphones. 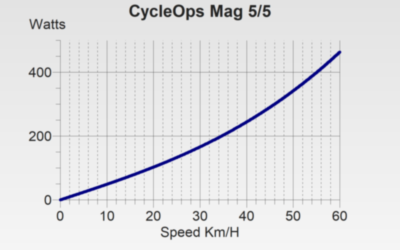 The Power curve is a bit weak and not recommended for very strong riders. 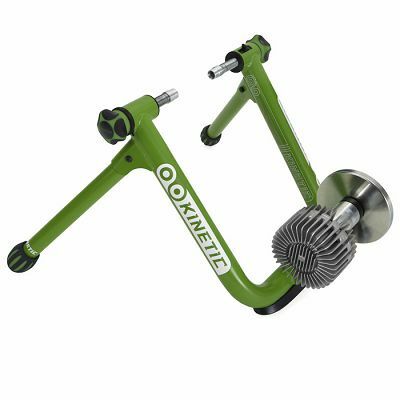 Beto MagRite 3/5 An inexpensive magnetic trainer that was sold at CostCo in Canada from a Taiwanese company. 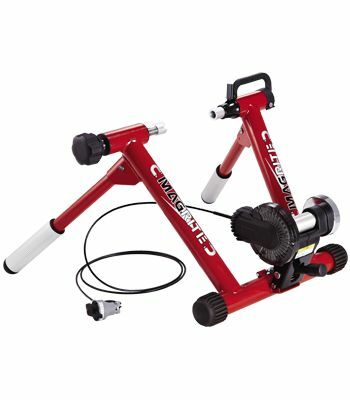 It looks solid and reasonably well built for an entry level trainer. 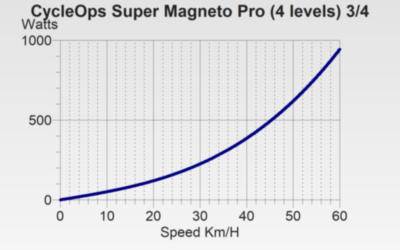 The power curve is a weak for powerful riders. 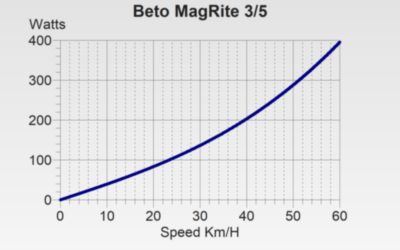 Beto MagRite 5/5 Level 5 of this trainer can be used for low RPM workouts or if level 3 is too weak. NOTE that calibration is done at level 3. 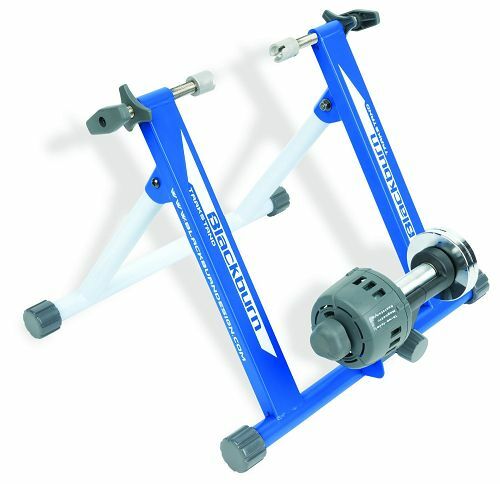 Blackburn TrackStand 3/3 This is a good value magnetic trainer. Sturdy, and has three levels of resistance. 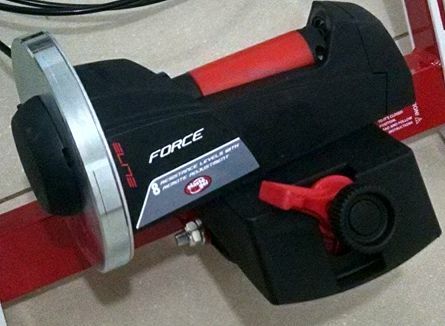 The power curve is a bit easy and level 3 is the choice for use with the PowerCurve Sensor. 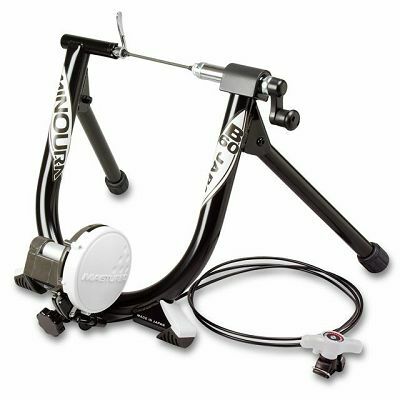 For heavy or strong riders with threshold watts at 300 or above, a trainer with a more challenging power curve is recommended. 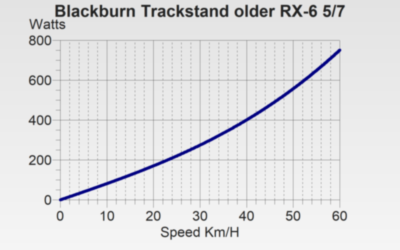 Blackburn Trackstand older RX-6 3/7 An older generation of the Trackstand - a stronger power curve than the latest generation. 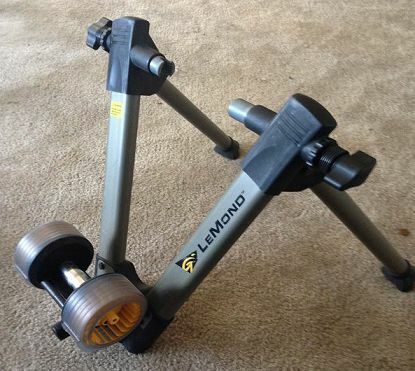 A basic mag trainer built solid. The levels are marked L, 1, 2, 3, 4, 5, H. So there are 7 levels. Level 3 is really marked "2" on the dial"
Blackburn Trackstand older RX-6 5/7 An older generation of the Trackstand - a stronger power curve than the latest generation. 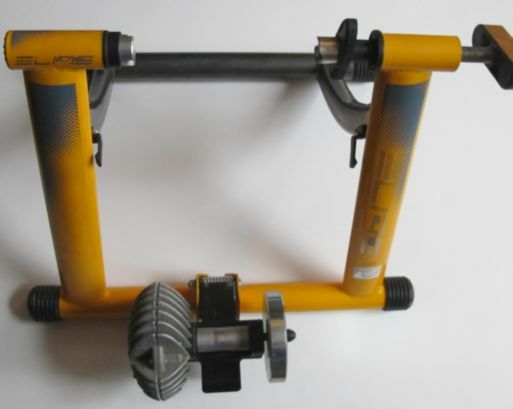 A basic mag trainer built solid. The levels are marked L, 1, 2, 3, 4, 5, H. So there are 7 levels. 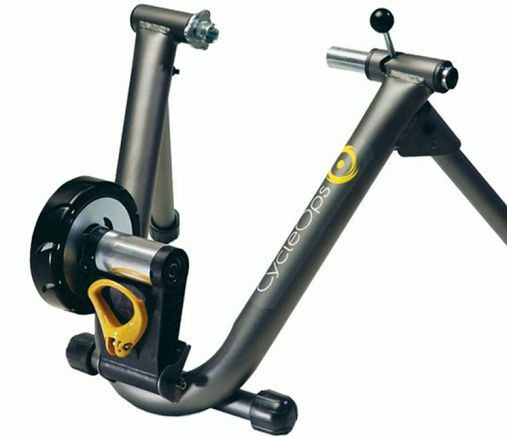 Level 5 is really marked "4" on the dial"
CatEye CS-1000 4% Setting 5/8 A robust trainer where an attachment for the front fork. These came out in the late 80s and are still available used. Not much plastic on these trainers! 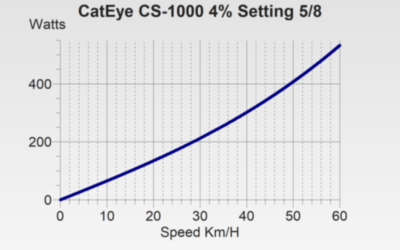 The watts indicated on the head unit are not precise at all but with a PowerCurve, it will be quite accurate. 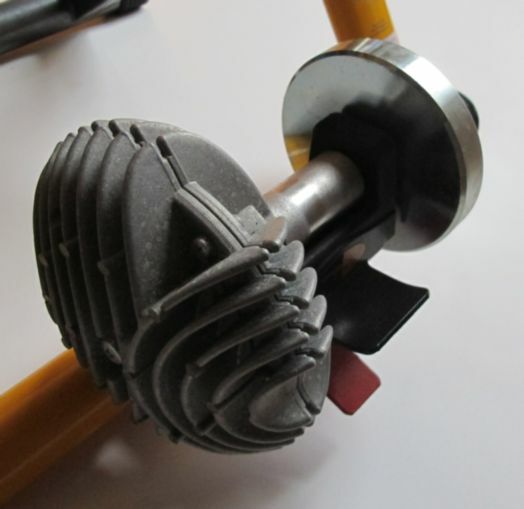 This is no press on force adjustment as a spring is used to apply pressure between the tire and the trainer. It is a very quiet trainer when the turbo fan is removed. 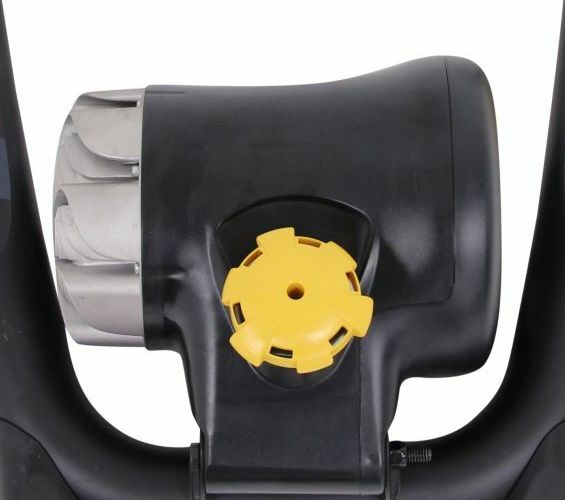 For the power curve, the turbo fan has been REMOVED as the magnetic resistance is plenty strong. It comes with 8 levels measured in percentage and this curve is the 5th level indicated as 4%. 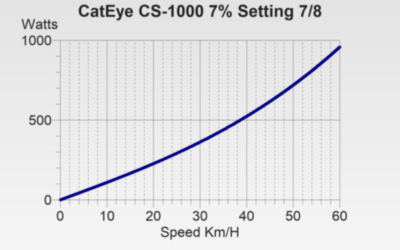 CatEye CS-1000 7% Setting 7/8 A robust trainer where an attachment for the front fork. These came out in the late 80s and are still available used. Not much plastic on these trainers! The watts indicated on the head unit are not precise at all but with a PowerCurve, it will be quite accurate. 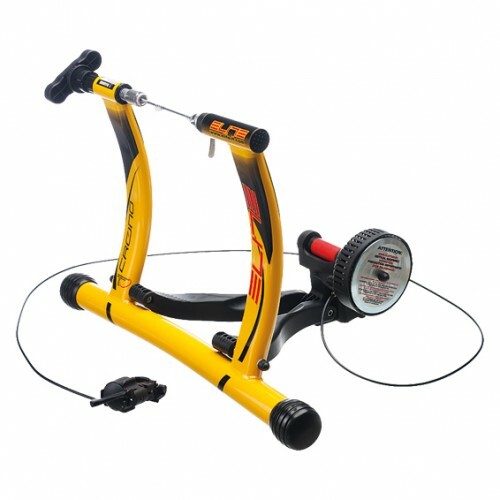 This is no press on force adjustment as a spring is used to apply pressure between the tire and the trainer. It is a very quiet trainer when the turbo fan is removed. For the power curve, the turbo fan has been REMOVED as the magnetic resistance is plenty strong. It comes with 8 levels measured in percentage and this curve is the 7th level indicated as 7%. Computrainer (standalone program 5) First calibrate to 2.5 on the Computrainer. Then set to program 5 (press Reset button from calibration mode) and re-calibrated in PowerCurve Software. 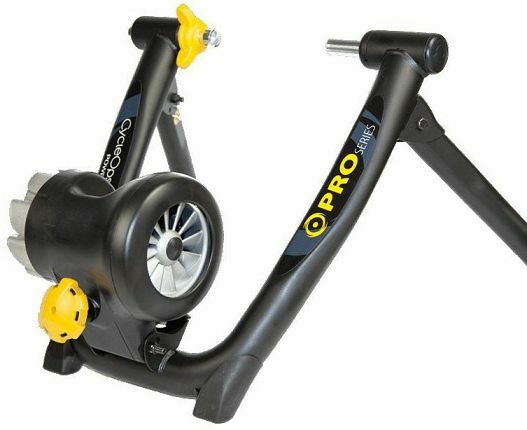 Obviously a Computrainer already measures watts. But if you want to ride in multi-rider mode with other PowerCurve devices you may want to calibrate your CT with the PowerCurve sensor. Although the Computrainer claims to be accurate there are doubts. 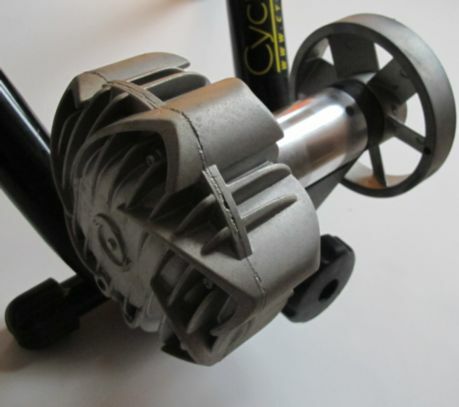 Compared to a PowerTap G3 the Computrainer tested was 5-10% too low! CycleOps Fluild 2 The fluid unit is huge and even has wind resistance blades on the other side. 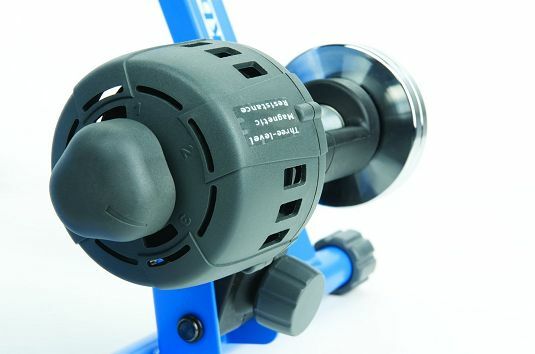 Very good workmanship, but would only recommend for strong riders with threshold power near 300 watts or more. 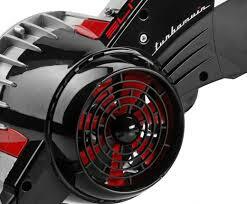 The trainer has very little speed inertia because of such high resistance and little or no freewheel effect. 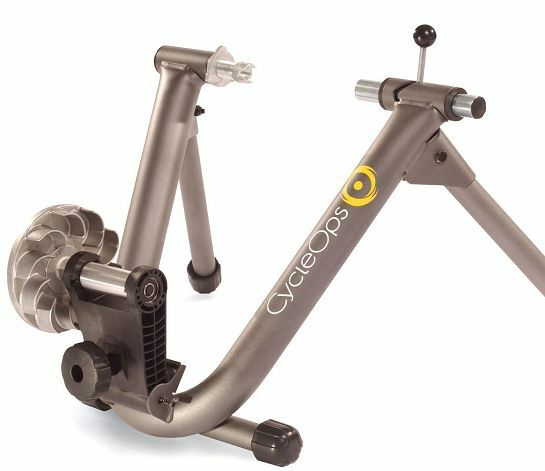 CycleOps Mag 5/5 A classic trainer from CycleOps. Same frame as the Wind and Fluid 2 from CycleOps. Well built with 5 levels of resistance. Not recommended for very powerful riders though. 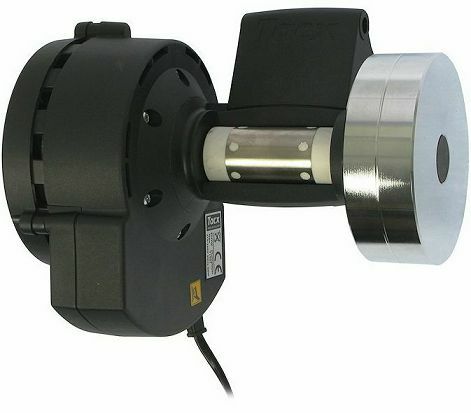 Level 5 is the choice for use with the PowerCurve Sensor. CycleOps Magneto Looks like another good entry level trainer from CycleOps. 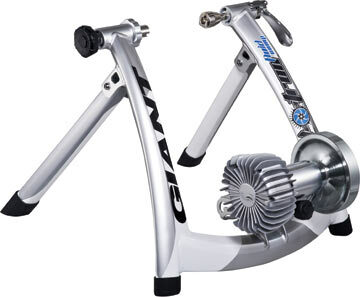 This trainer was not tested by us, and the power numbers are from the manufacturer. 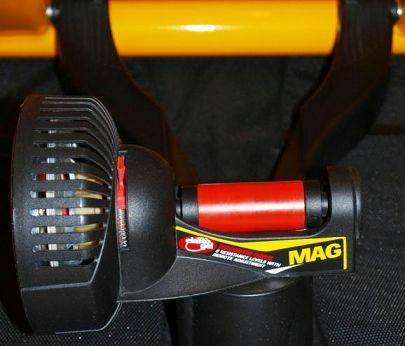 CycleOps Super Magneto Pro (4 levels) 3/4 A higher end mag trainer from from CycleOps. 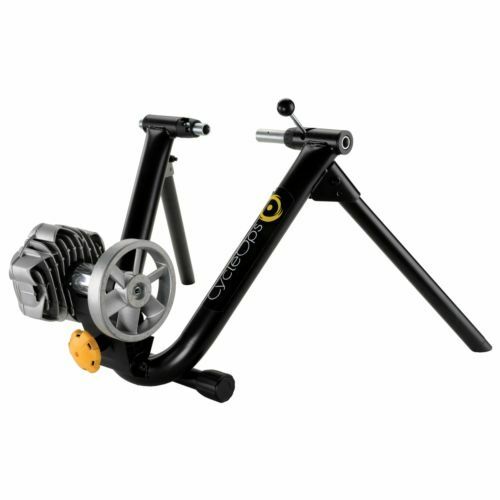 This trainer was not tested by us, and the power numbers are from the manufacturer. This is the power curve on the "Interval" setting. 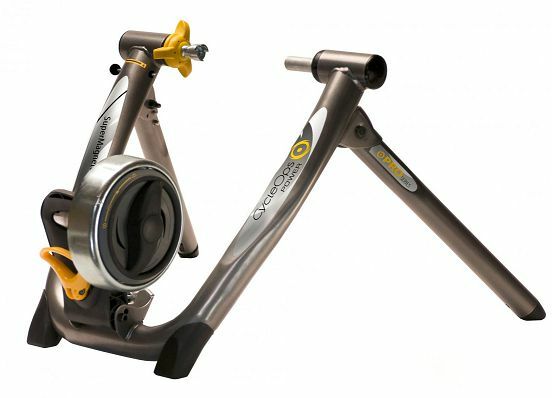 CycleOps Wind A classic trainer from CycleOps. 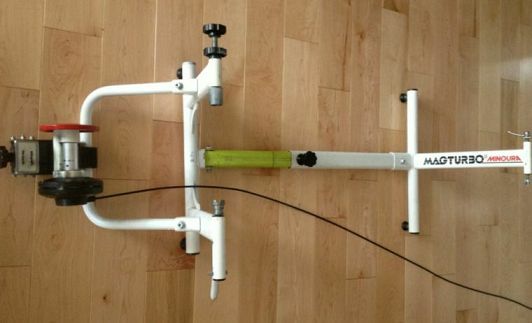 Same frame as the Mag and Fluid 2 from CycleOps. It has a nice road feel with good inertia. 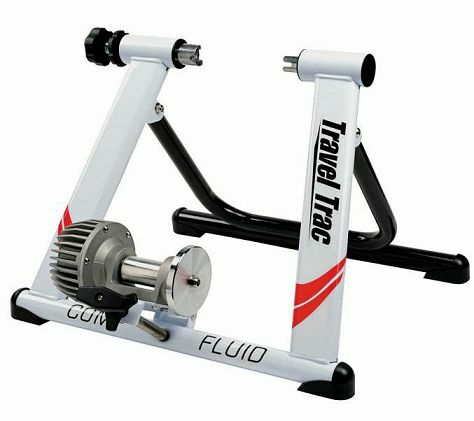 More noisy than magnetic or fluid trainers, but if noise is not a concern, this is a good quality reliable trainer. The power curve is a bit weak. Not suited for powerful riders. 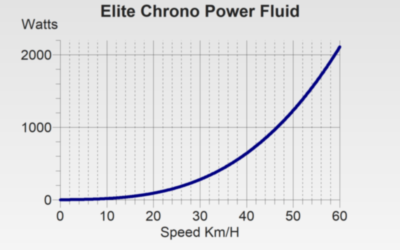 Elite Chrono Power Fluid Elite manufactures quality fluid trainers and this is no exception either. 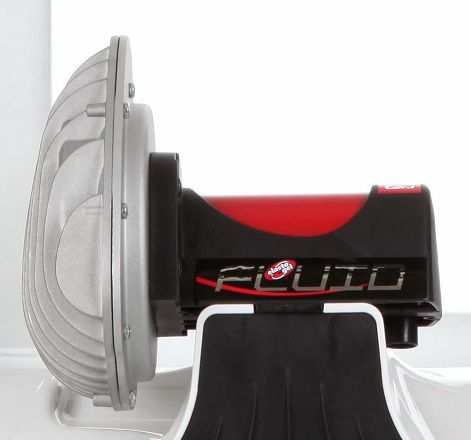 Similar to the Qubo with a slightly easier resistance curve. 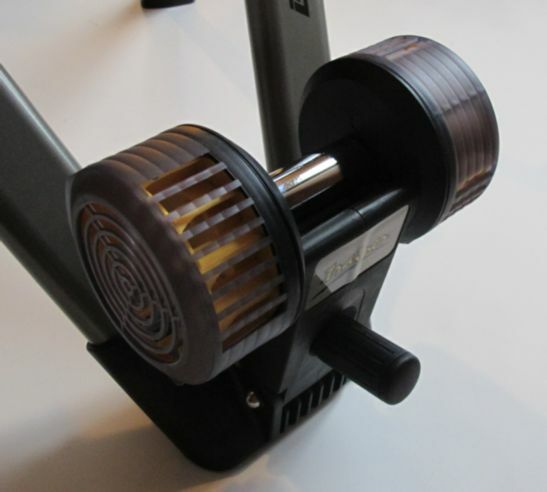 Press-on-force cannot be adjusted and varies with your own weight, so watts may have a slight offset. 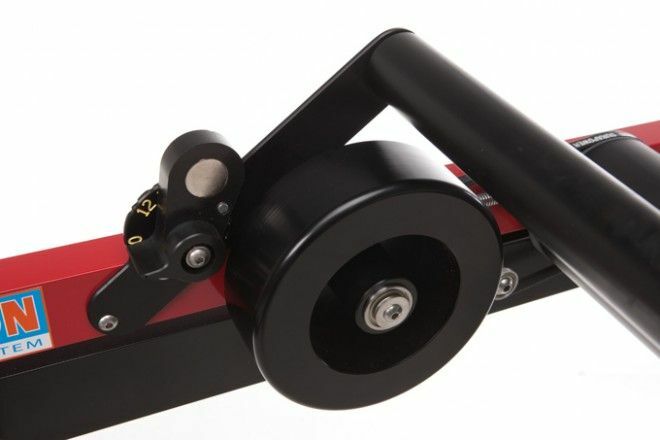 It's a comfortable trainer as there is no "locked triangle" - it is the rider's weight that presses the tire onto the roller. 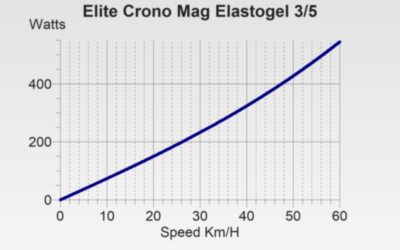 Elite Crono Mag Elastogel 3/5 An interesting mag trainer with 5 levels of resistance. Level 3 is the recommended one for the PowerCurve Sensor. 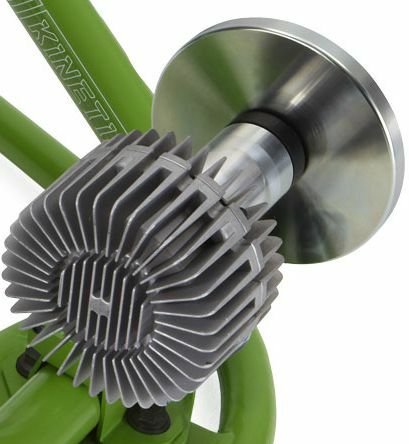 Press-on-force cannot be adjusted and varies with your own weight, so watts may have a slight offset. 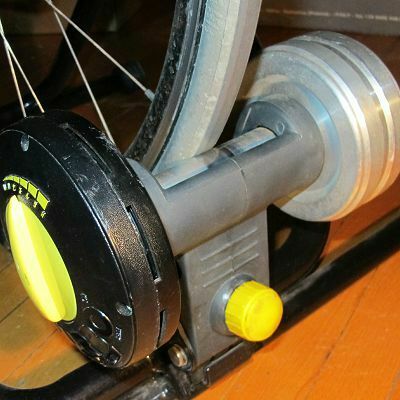 It's a comfortable trainer as there is no "locked triangle" - it is the rider's weight that presses the tire onto the roller. 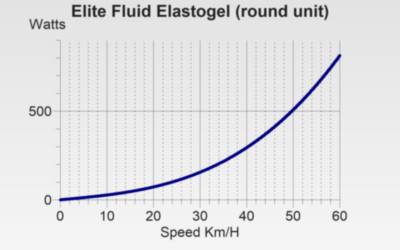 Elite Fluid Elastogel (round unit) An interesting and quality fluid trainer. 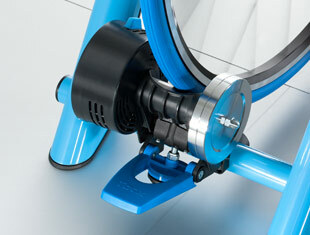 Press-on-force cannot be adjusted and varies with your own weight, so watts may have a slight offset. 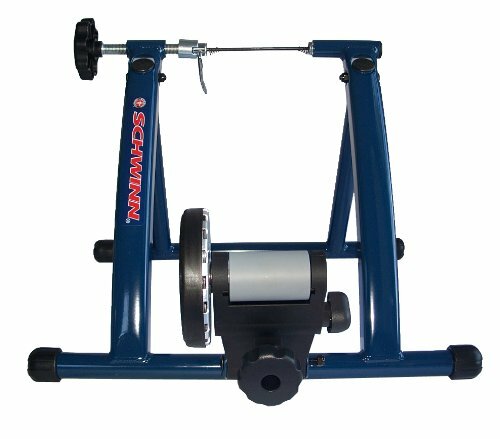 It's a comfortable trainer as there is no "locked triangle" - it is the rider's weight that presses the tire onto the roller. Elite Novo Force (8 levels) 3/8 Seems like a quality trainer from Elite. Power data is from the manufacturer. 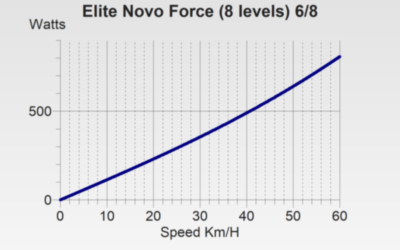 Elite Novo Force (8 levels) 6/8 Seems like a quality trainer from Elite. Power data is from the manufacturer. Level 6 is for low RPM workouts. 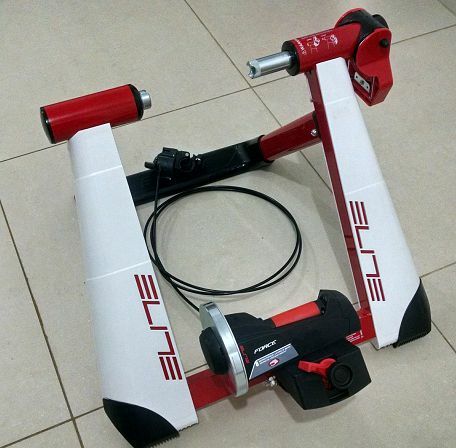 Elite Power Fluid Elite manufactures quality fluid trainers and this is no exception either. Same resistance unit as the Elite Qubo, but there is a "locked triangle". A better choice. than the Qubo for out of the saddle riding. 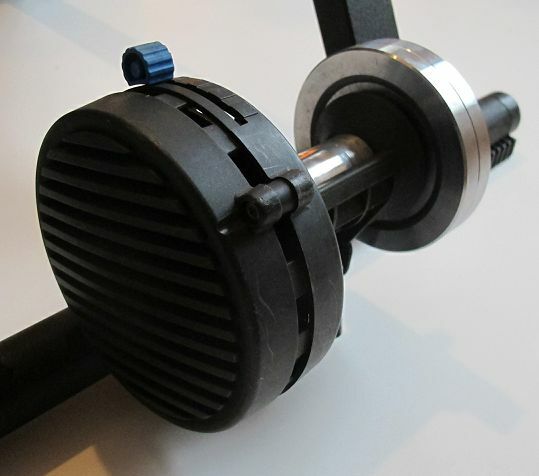 Note that press on force cannot be adjusted as it uses a spring loaded clamp. Watts may have a slight offset if your rolling resistance if different than the reference calibration. 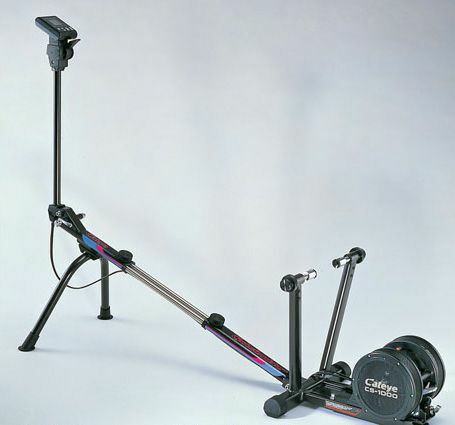 This trainer has a strong curve and calibration is done from 25Km/H. Elite Qubo Fluid Elite manufactures quality fluid trainers and this is no exception. 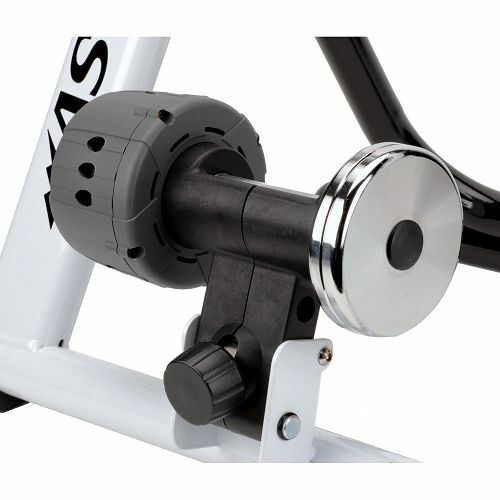 Press-on-force cannot be adjusted and varies with your own weight, so watts may have a slight offset. 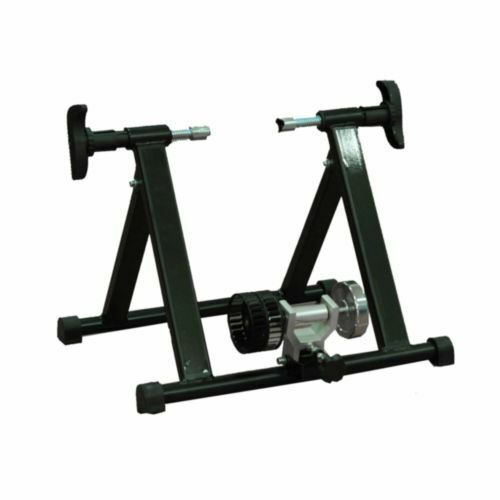 It's a comfortable trainer as there is no "locked triangle" - it is the rider's weight that presses the tire onto the roller. Elite Travel Fluid (yellow) Good quality trainer but the power curve is weak for a fluid trainer. 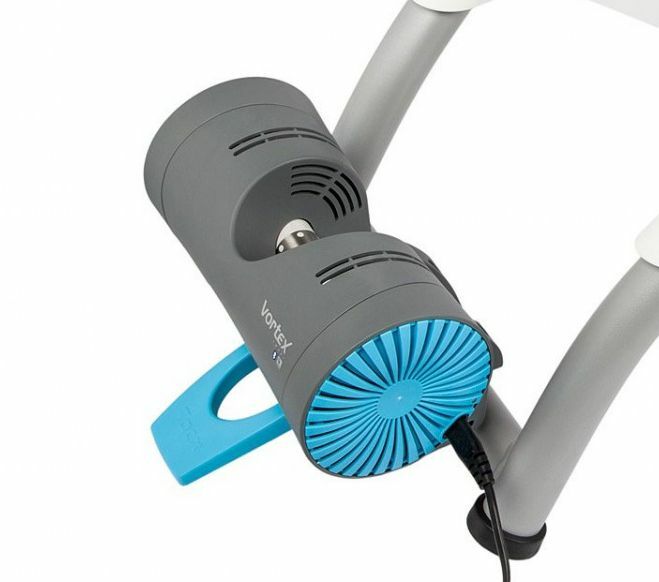 Ideal for light or not so strong riders with threshold power around 200 watts. The trainer does not allow for press on force adjustment so there may be an offset in the watt readings. Elite Turbo Muin An impressive trainer from Elite with a direct trainer/bike interface. 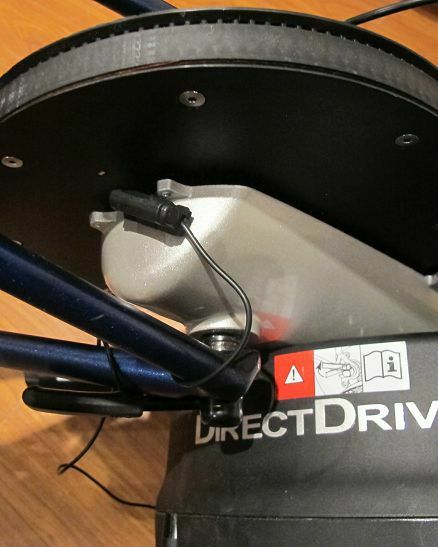 The bike attaches directly on the trainer so this removes the tire-roller interface. Hence no calibration is required. The power curve data points were provided by the manufacturer using an SRM power meter for a 700C wheel. 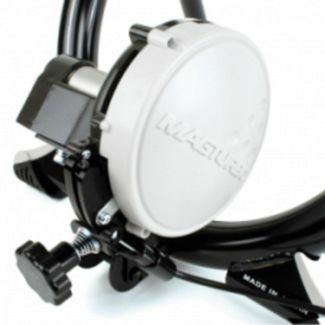 It requires a lot of watts at low speed so it is very silent and you will rarely use the big ring! 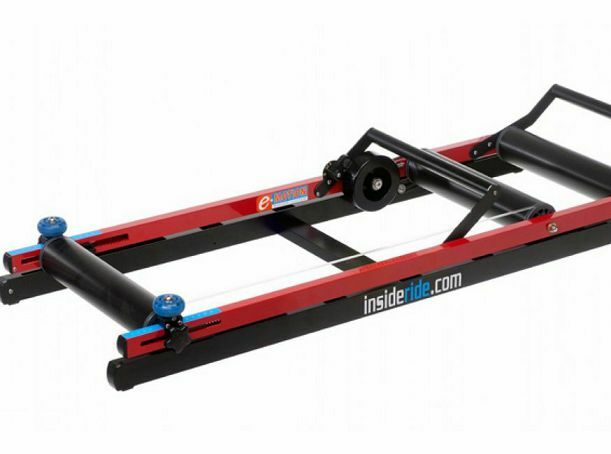 E-Motion by Inside Ride 2/4 If you are into rollers, this model gets rave reviews. 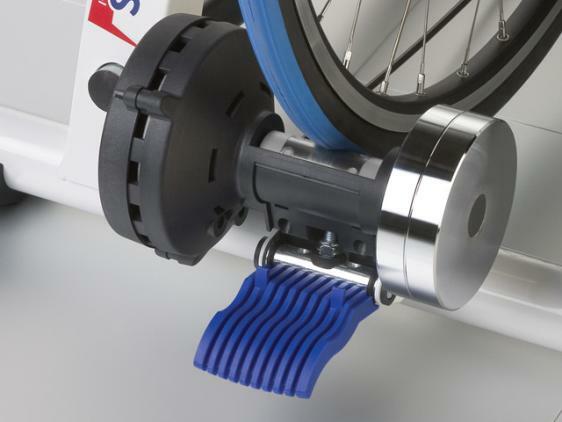 Trainers are usually measured with a PowerTap, but rollers are different since the rider weight has a considerable impact on the power curve. 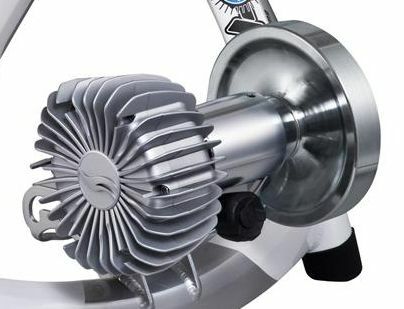 For this trainer, the manufacturers formula is used instead of a measured power curve. 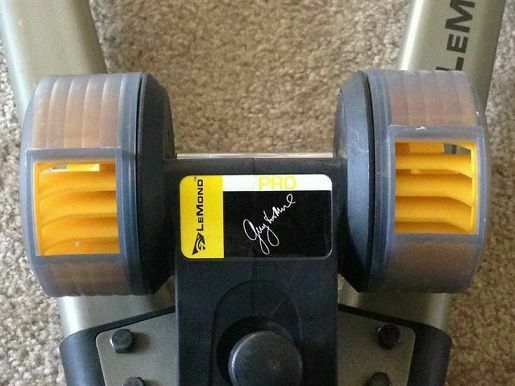 Use the second level, indicated as "1" on the roller dial (levels are labeled 0,1,2,3) on this trainer). Generic Fluid If your fluild trainer is not listed, this is a typical fluid power curve. With a generic trainer this is no need to perform a coast down calibration and the watts will not be very accurate as this curve is just a general estimate. 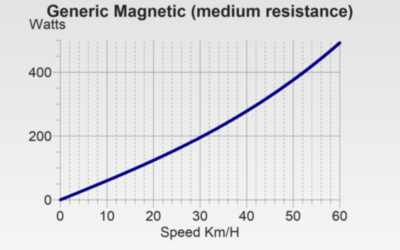 Generic Magnetic (medium resistance) If your magnetic trainer is not listed, this power curve is typical for a mag trainer on medium resistance. With a generic trainer this is no need to perform a coast down calibration and the watts will not be very accurate as this curve is just a general estimate. Generic Wind If your wind trainer is not listed, this is a typical wind power curve. With a generic trainer this is no need to perform a coast down calibration and the watts will not be very accurate as this curve is just a general estimate. 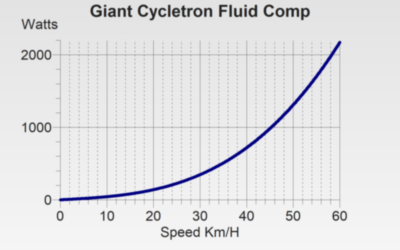 Giant Cycletron Fluid Comp With a massive freewheel, this is probably the trainer with the most inertia. 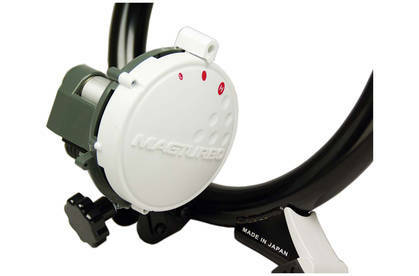 The large freewheel will help maintain speed allowing a bit of coast time, but will also make acceleration less responsive. It also has the strongest power curve measured. 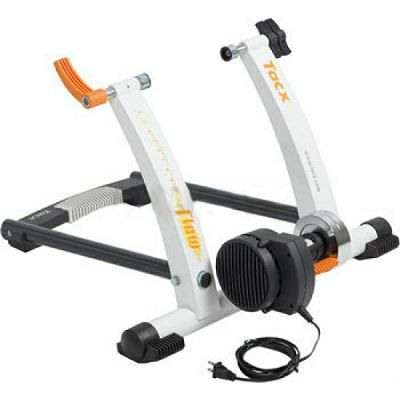 This trainer is recommended for very powerful cyclists. 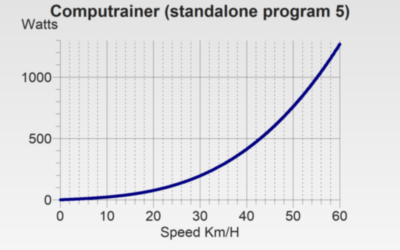 Note that the calibration is done from 25KmH to 0 because of such a strong power curve on this trainer. Graber Mag 5/5 A basic magnetic trainer. Well built with 5 levels of resistance. 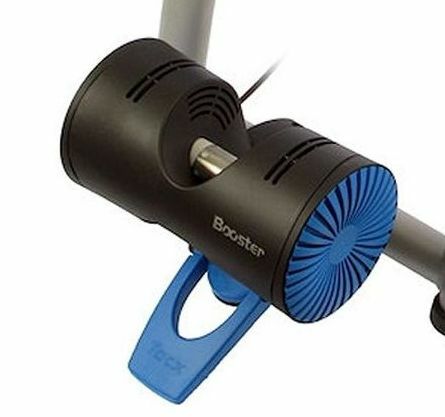 Not recommended for very powerful riders, but will be fine if your threshold watts is no higher than 250 watts. 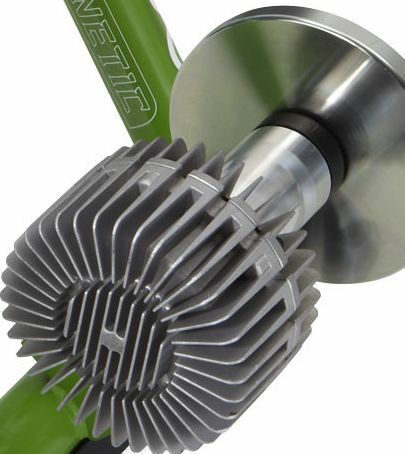 Level 5 is the choice for use with the PowerCurve Sensor. 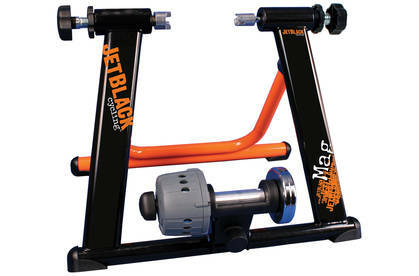 JetBlack Mag Turbo 3/3 This is a good value magnetic trainer. Sturdy, and has three levels of resistance. The power curve is a bit easy and level 3 is the choice for use with the PowerCurve Sensor. 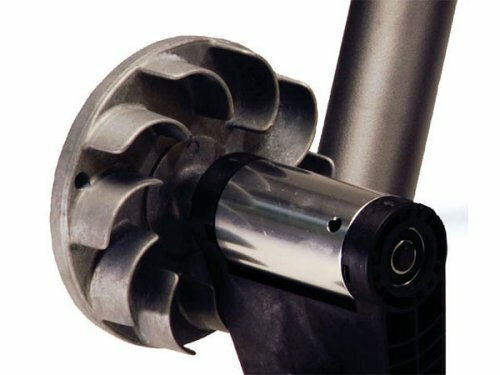 For heavy or strong riders with threshold watts at 300 or above, a trainer with a more challenging power curve is recommended. 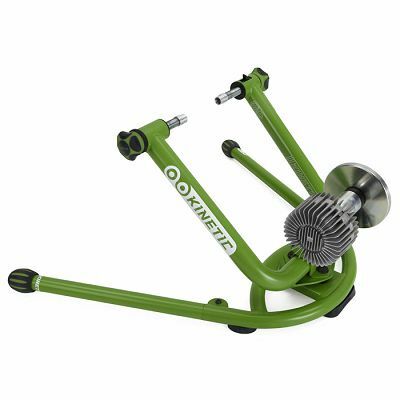 Kinetic Road Machine Very good quality fluid trainer. 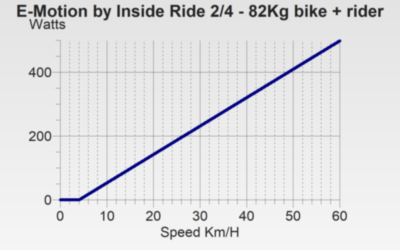 The load curve is calibrated to a very strong rider but is realistic. 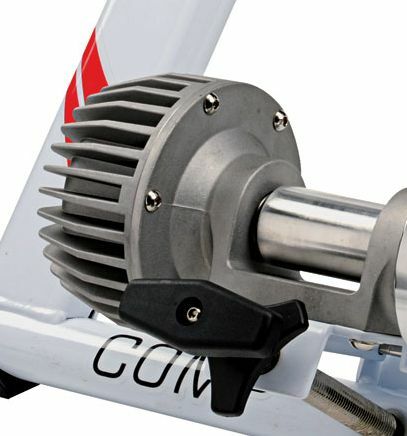 Good speed inertia with heavy fly wheel. Kinetic Rock and Roll Probably the best trainer. The load curve is calibrated to a strong rider but is realistic. Good speed inertia with heavy fly wheel. Almost feels like riding a outside with side-to-side movement. The only drawback is of course, the price! Lemond Pro Wind Trainer Inexpensive wind trainer, that is noisy at high speed. It will be fine for occasional workouts or if you train with headphones. 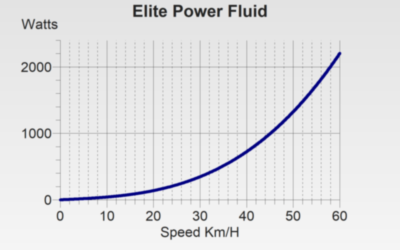 The Power curve is a bit weak and not recommended for very strong riders. 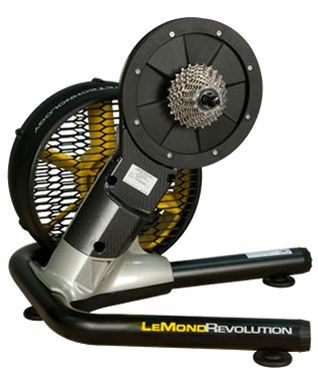 Lemond Revolution Very solid and simple trainer. No bells and whistles. 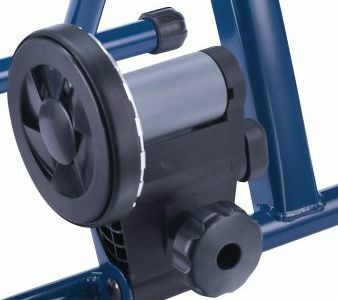 Uses a large fan for resistance that has a power curve similar to riding on a flat road outside.The bike attaches directly on the trainer so this removes the tire-roller interface. Hence no calibration is required. Sinced there is no tire interface, the coast down is very long with a road like feel.The power curve is for a 700C road wheel.For a wind trainer it is not that loud, but at high watts it is still much loader than a magnetic trainer. 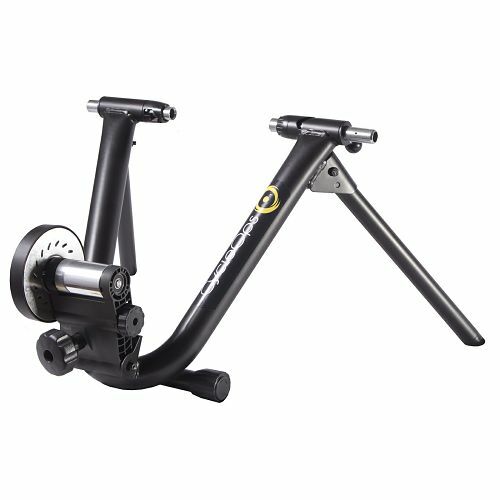 Minoura B60 Non Remote 2/3 A good value mag trainer. Even with just 3 levels, it has a good range of easy, medium and hard. 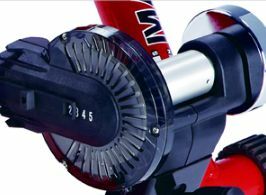 Level 2 is the choice for use with the PowerCurve senor. 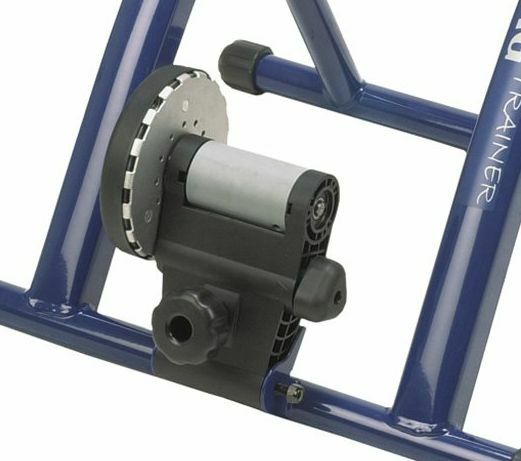 This is one of the most portable trainers. It folds very compact. 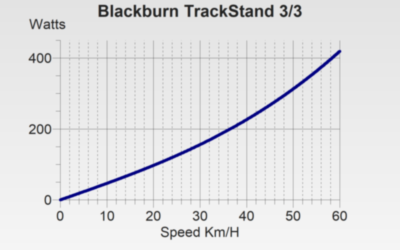 Although it won't be stable for out of the saddle sprints. Very little inertia. Minoura B60 Non Remote 3/3 A good value mag trainer. Even with just 3 levels, it has a good range of easy, medium and hard. 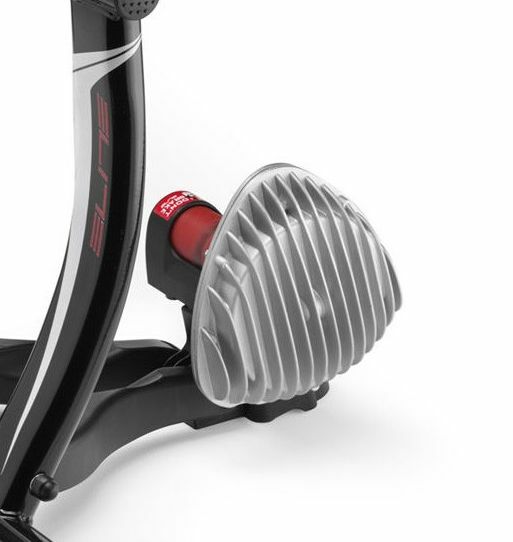 Level 3 can be used for low RPM workouts. NOTE that calibration is done at level 2. 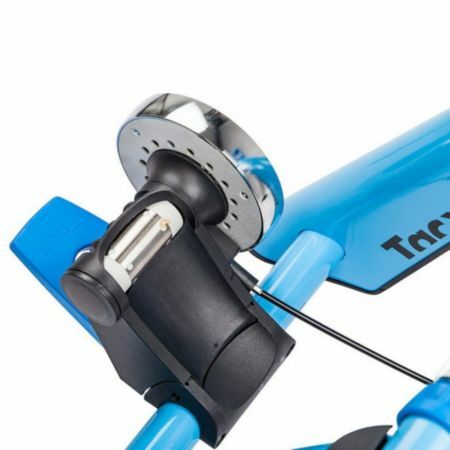 This is one of the most portable trainers. It folds very compact. Although it won't be stable for out of the saddle sprints. 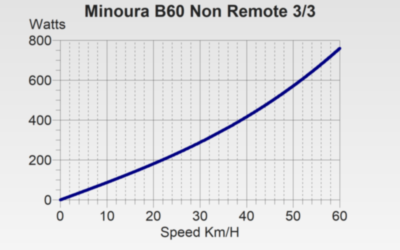 Minoura B60 Remote 3/7 A similar trainer to the B60 non remote but with more resistance levels. 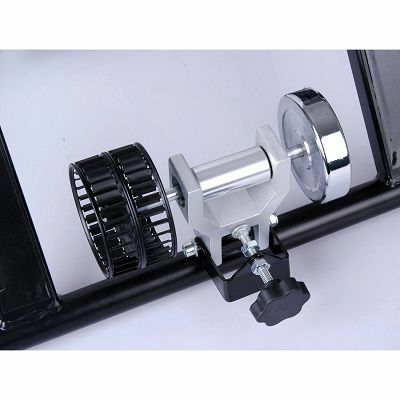 Level 3 is the choice for use with the PowerCurve senor. 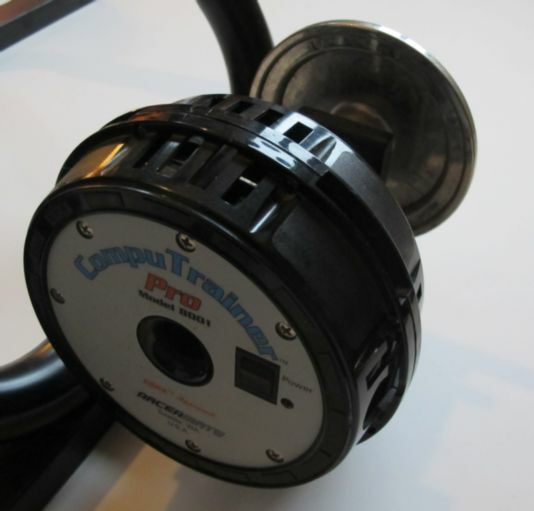 This is one of the most portable trainers. It folds very compact. Although it won't be stable for out of the saddle sprints. Minoura B60 Remote 5/7 Level 5 of this trainer can be used for low RPM workouts. NOTE that calibration is done at level 3. Minoura MagTurbo II 3/7 This is an older generation Minoura. Minoura trainers seem to last forever. 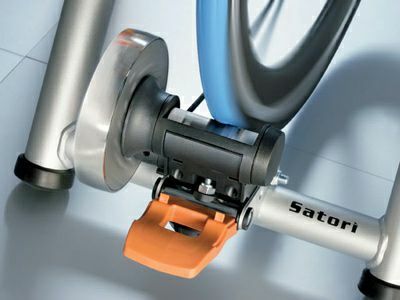 This interesting trainer allows you to remove the front wheel to attach the bike directly on the trainer stand. Just like the newer B60 models, the power curve is reasonable strong for the size of the resistance unit. Minoura MagTurbo II 5/7 Level 5 of this trainer can be used for low RPM workouts. NOTE that calibration is done at level 3. OEM 5661-0016 Magnetic This is even more basic than basic. 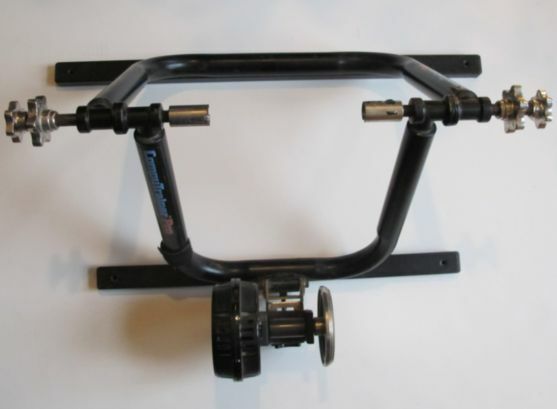 Sturdy frame, easy setup, very inexpensive. That's the pro. The con - it's the winner the weakest power curve measured. 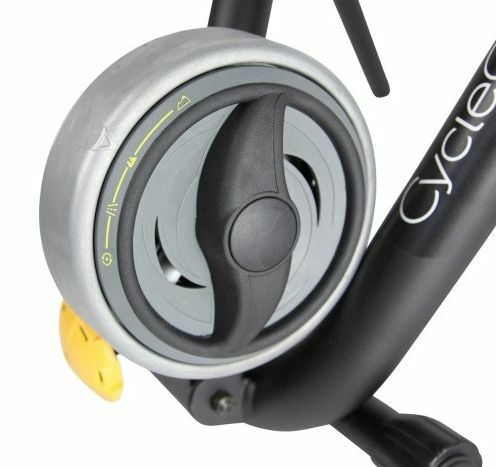 It can do the job for warm ups, or if you want to spin while your significant other does a real workout on another trainer. 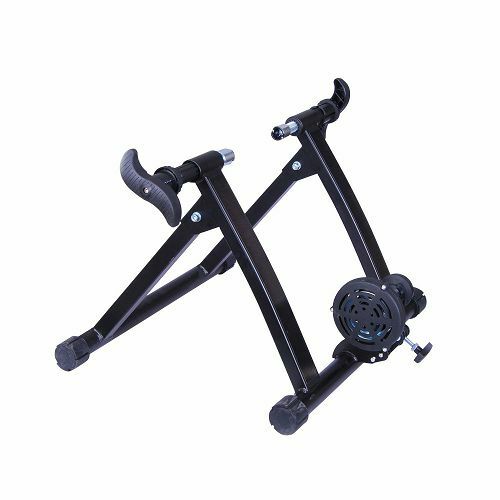 OEM Wind 5661_0020 SL/BL Very inexpensive generic trainer from Taiwan. 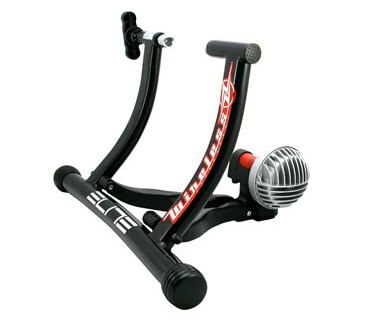 With a nice road feel and reasonable noise level for a wind trainer. For this price (they can be found at around $50.00) these trainers are good value. 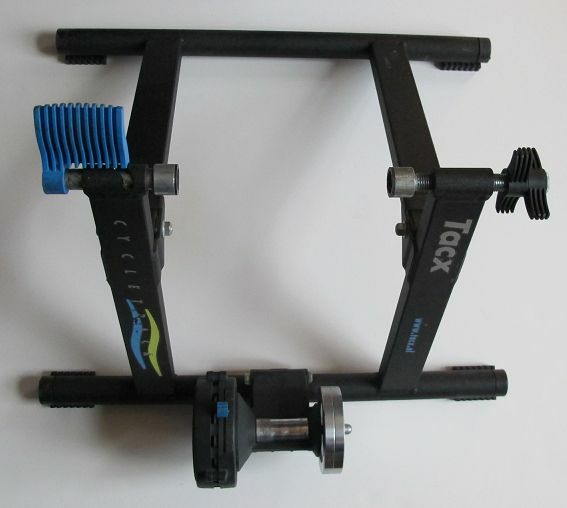 RavX TX4 3/6 A magnetic trainer made from a company that seems to brand generic trainers from Asia. 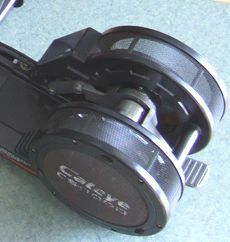 A reasonable size flywheel provides a fair amount of rolling inertia. 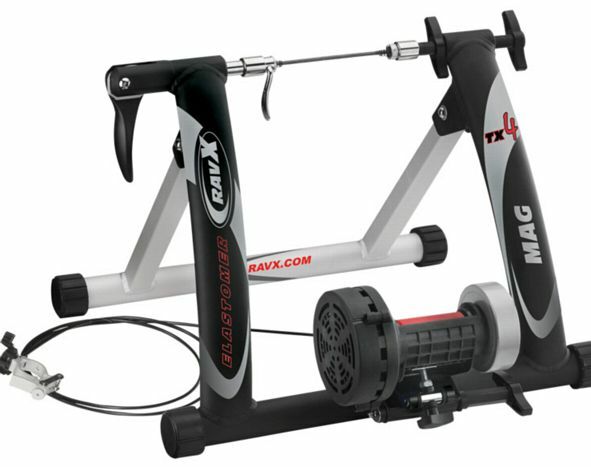 RavX TX4 6/6 A magnetic trainer made from a company that seems to brand generic trainers from Asia. 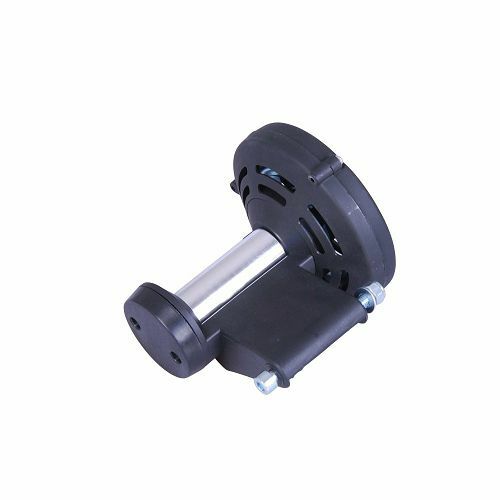 A reasonable size flywheel provides a fair amount of rolling inertia. 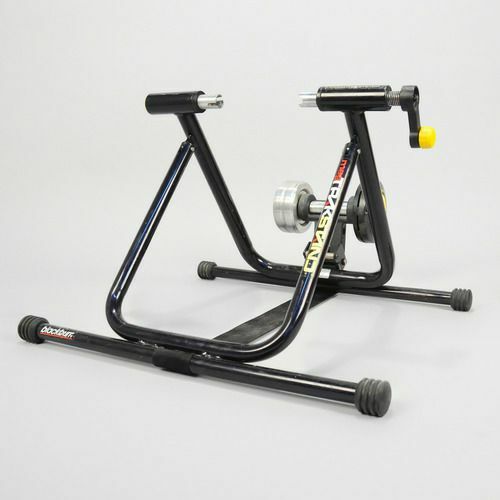 Level 6 can be used for low RPM power workouts. Calibration is done at level 3. 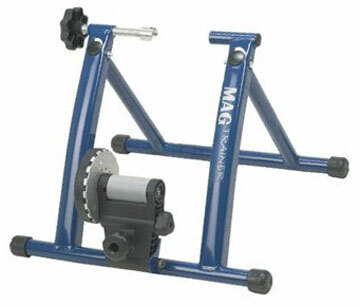 Schwinn Mag 5/5 A basic magnetic trainer. Well built with 5 levels of resistance. 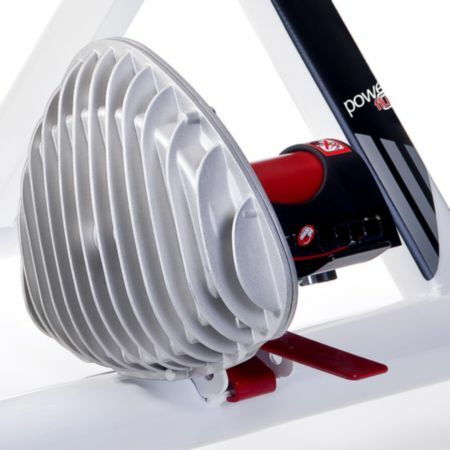 Not recommended for very powerful riders, but will be fine if your threshold watts is no higher than 250 watts. 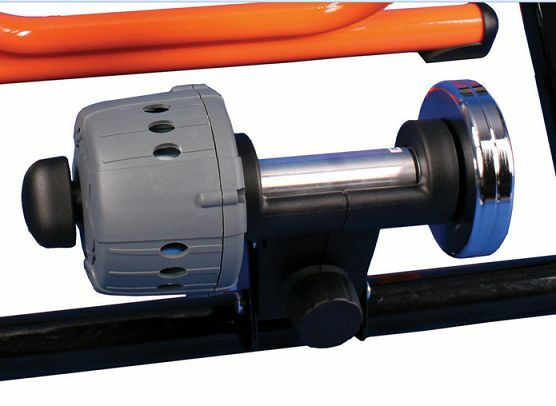 Level 5 is the choice for use with the PowerCurve Sensor. Tacx Blue Matic 4/10 A good magnetic trainer with a Tacx reputation. Well built with 10 varied levels of resistance. This curve is for level 4. Tacx Blue Matic 8/10 A good magnetic trainer with a Tacx reputation. Well built with 10 varied levels of resistance. 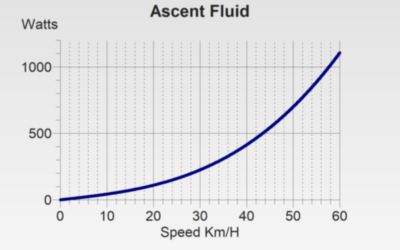 This curve is for level 8 to be used for low RPM workouts. NOTE that calibration is done at level 4. Tacx Blue Motion 4/10 Yet another good mag trainer from Tacx. Very similar to the Tacx Satori. 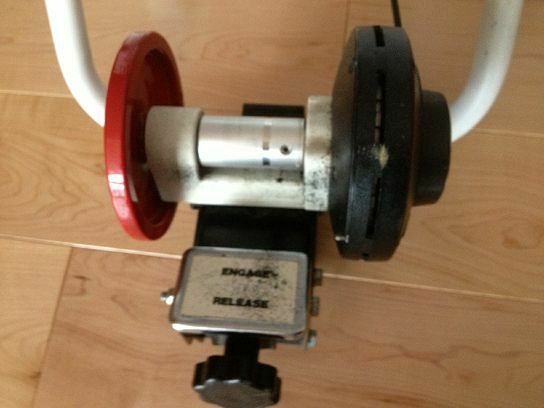 Press on force is adjusted with a small rotating knob under the lever. This curve is for level 4. 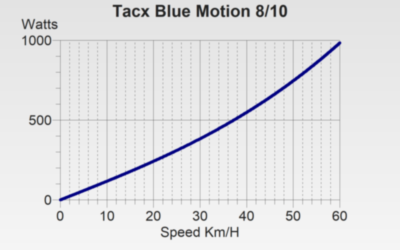 Tacx Blue Motion 8/10 Yet another good mag trainer from Tacx. Very similar to the Tacx Satori. Press on force is adjusted with a small rotating knob under the lever. 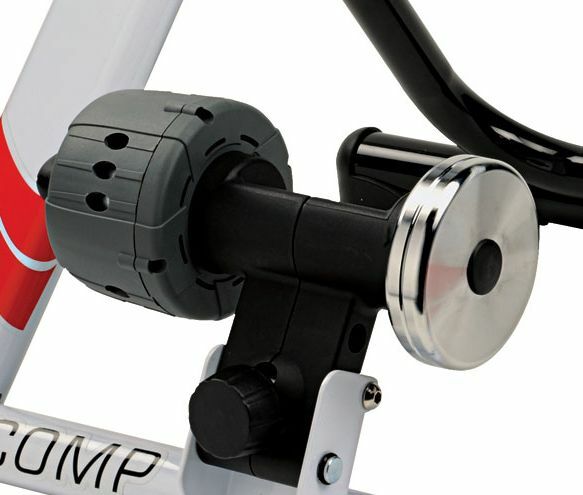 Level 8 can be used for low RPM power workouts. Calibration is done at level 4. Tacx Blue Twist 3/7 A good magnetic trainer with a Tacx reputation. Well built with 7 varied levels of resistance. Level 3 is the choice for use with the PowerCurve Sensor. Tacx Blue Twist 6/7 A good magnetic trainer with a Tacx reputation. Well built with 7 varied levels of resistance. Level 6 can be used for low RPM workouts. NOTE that calibration is done at level 3. 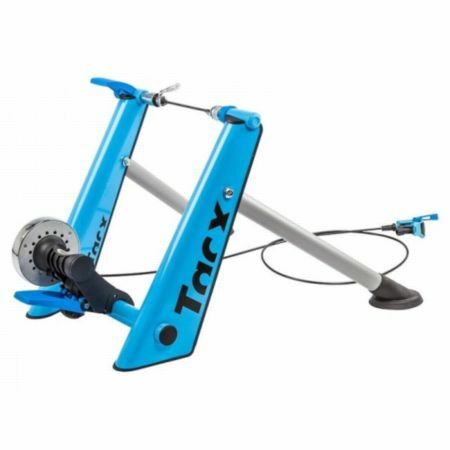 Tacx Booster 3/10 This trainer is an upgrade from the Tacx Blue series with a more robust frame. The trainer has a very small coast down time though, so wheel inertia is minimal. 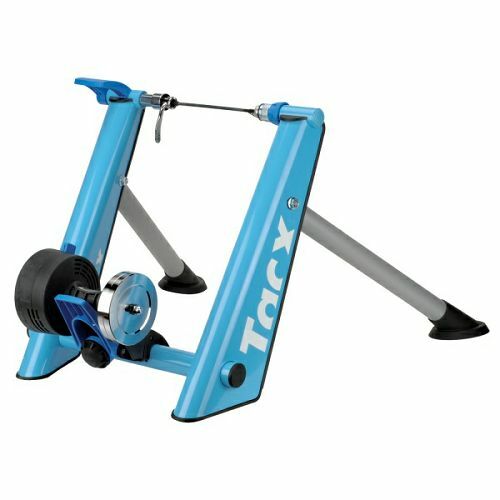 Tacx Booster 7/10 This trainer is an upgrade from the Tacx Blue series with a more robust frame. The trainer has a very small coast down time though, so wheel inertia is minimal. 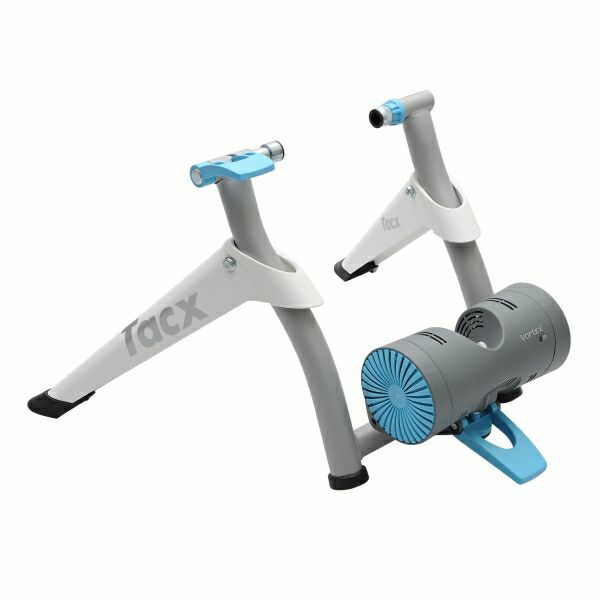 Tacx Flow Level 3 A good electronic trainer that can be used as an ergometer. But I really would not trust the watts values because there is no calibration mechanism. Level 3 is the choice for the PowerCurve sensor. 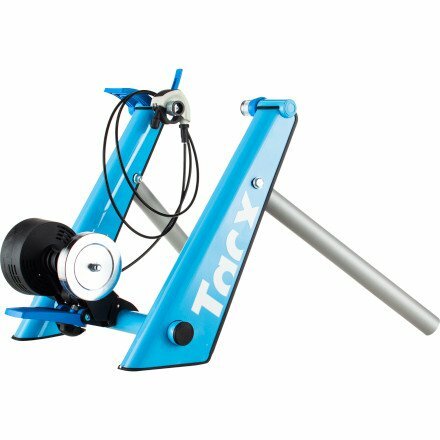 Tacx Flow Level 7 A good electronic trainer that can be used as an ergometer. But I really would not trust the watts values because there is no calibration mechanism. 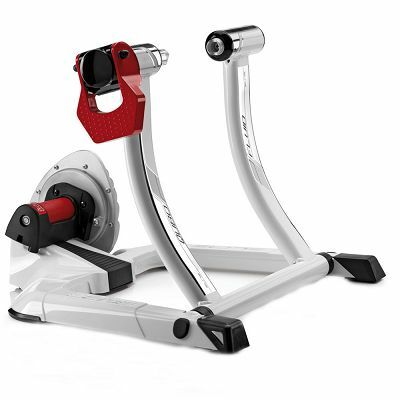 Level 7 can be used for low RPM power workouts. Calibration is done at level 3. Tacx Mag CycleTrack 4/7 When you hear "mag trainer", the image that comes to mind is probably the Tacx Cycle Track. A classic well built mag trainer. Lots of range between the resistance levels. Level 4 offers a good power curve to use with the PowerCurve Sensor. Well be fine for a warm up or an intense interval workout. Tacx Mag CycleTrack 7/7 When you hear "mag trainer", the image that comes to mind is probably the Tacx Cycle Track. A classic well built mag trainer. Lots of range between the resistance levels. Level 7 can be used for low RPM workouts. NOTE that calibration is done at level 4. 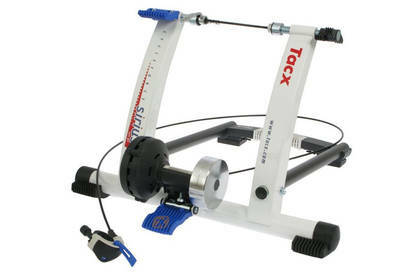 Tacx Satori 4/10 Yet another mag trainer from Tacx. 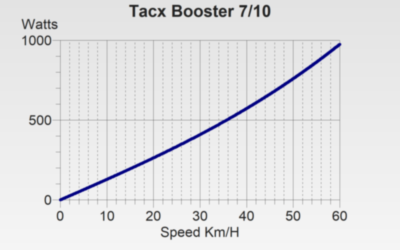 Tacx just know how to make good value mag trainers. 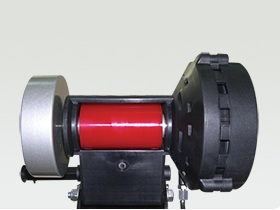 Press on force is adjusted with a small rotating knob under the lever. This curve is for level 4. 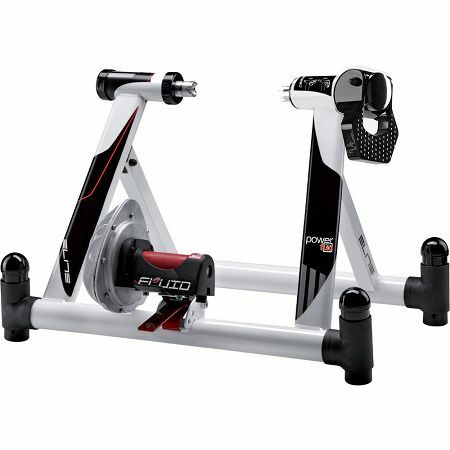 Tacx Satori 8/10 Yet another mag trainer from Tacx. 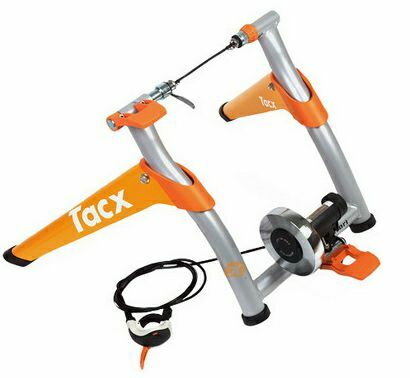 Tacx just know how to make good value mag trainers. Press on force is adjusted with a small rotating knob under the lever. 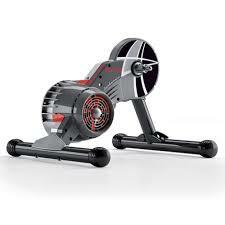 Level 8 can be used for low RPM power workouts. Calibration is done at level 4. Tacx Sirius 4/10 Yet another solid mag trainer from Tacx. Press on force is adjusted with a small rotating knob under the lever. This curve is for level 4. Tacx Sirius 8/10 Yet another solid mag trainer from Tacx. 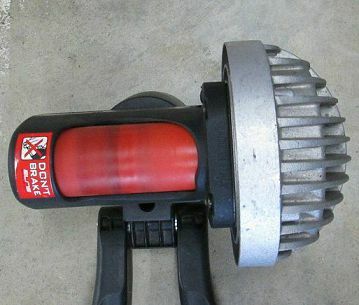 Press on force is adjusted with a small rotating knob under the lever. 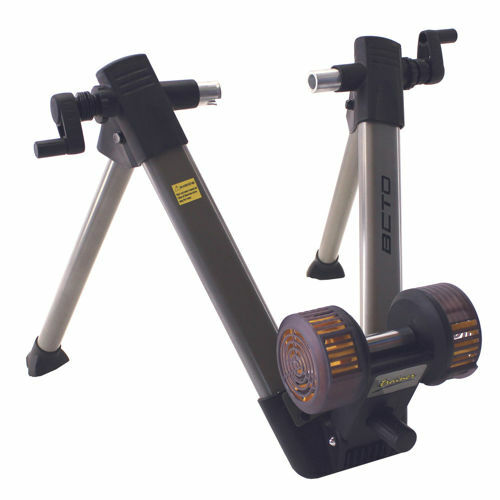 Level 8 can be used for low RPM power workouts. Calibration is done at level 4. Tacx Vortex Smart - Standalone This is an electronic trainer that supports ANT+ and Bluetooth Smart at a reasonable price. The only issue that has been reported is that at watts above 200 watts it tends to overestimate the power. So an alternative is to use virtual power. 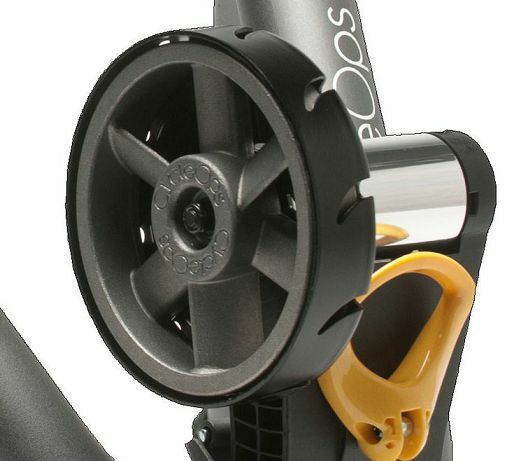 The power curve has been measured in standalone with a PowerTap and the unit unplugged. 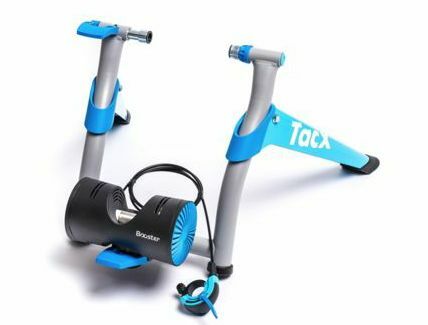 So if you are a powerful rider, using virtual power may be better with this trainer. Travel Trac Comp Fluid Very good basic fluid trainer. The power curve is very realistic giving a nice road like feel. The only drawback is that it could have a larger free wheel to give it more inertia. But who coasts on an indoor trainer? Built sturdy without being too bulky. 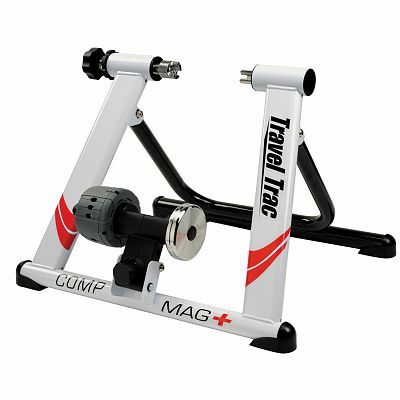 Travel Trac Comp Mag 3/3 This is a good value magnetic trainer. Sturdy, and has three levels of resistance. The power curve is a bit easy and level 3 is the choice for use with the PowerCurve Sensor. 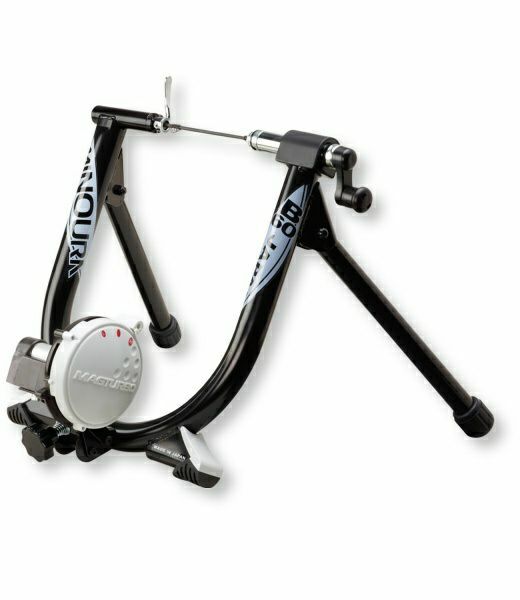 For heavy or strong riders with threshold watts at 300 or above, a trainer with a more challenging power curve is recommended.